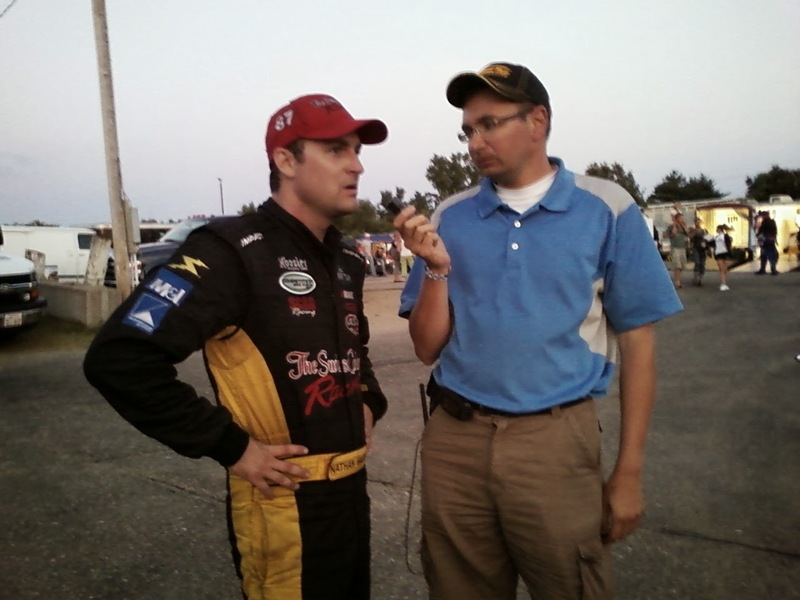 Northfield MN driver Adam Royle says his seventh year in a Super Late Model was "my best season, so far." In 2009 Adam had an incredibly consistent year, he won seven feature races and his second straight point championship at Raceway Park in Shakopee MN. 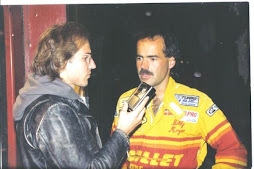 He also won seven features at Elko Speedway in Elko MN and was leading in the points before the "Chase" format at the end of the season, he finished third in the point standings. 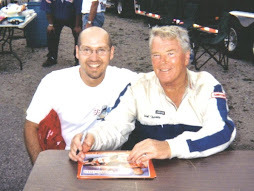 He was also awarded the 2009 MN State NASCAR Whelen All-American series championship. It takes a team effort to succeed at the race track. 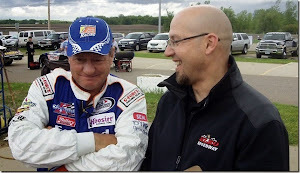 Brian Johnson and Adam's father Jarry Royle did a great job in the pits turning wrenches, and for the most part, the driver stayed out of the big wreck in 2009. "That way we can work on making the car faster, instead of just fixing it," said Adam. The most memorable moment of 2009, according to Royle, was when he won the Dwain Behrens memorial race for the second time in his career. 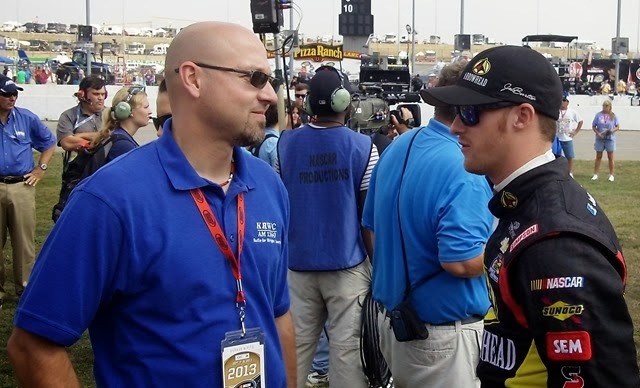 Adam grew up at the track watching Behrens race, and winning on that night means a lot to him. Why change when things are going well? Royal says his 2010 plans are much the same as 2009. 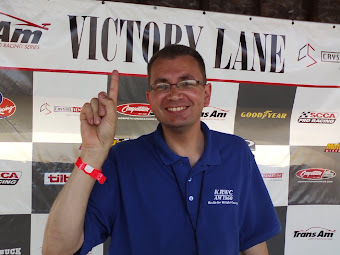 Race full-time at both Elko Speedway and Raceway Park along with running some ASA Midwest tour events. 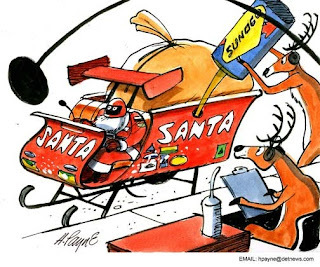 Merry Christmas and Happy New Year from Speedtalk on 1360. Thanks for making our first year on KRWC a blast! 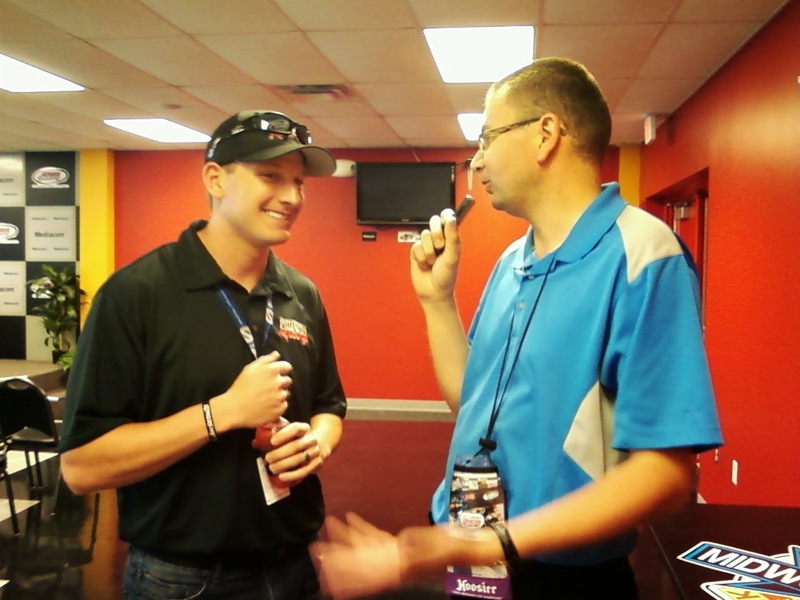 We interviewed 34 different local racers and stirred up a bunch of new idea's for NASCAR fans. 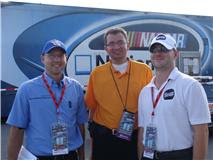 A big thank you to our loyal listeners and also to Dan Plan and Jordan Bianchi for their great weekly insite on racing. Thanks to our sponsors: David Wray auto in Buffalo, Auto Value in Buffalo and Monticello, Fegers racing in Delano, and Raceway Park in Shakopee. 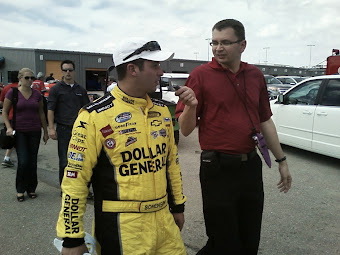 Jordan Bianchi starts his NASCAR team reviews .. beginning with Michael Waltrip Racing. 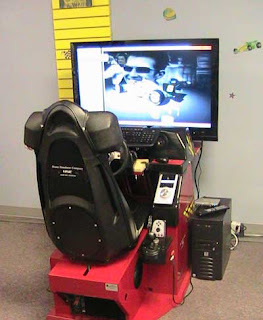 Video of Simulator Sports in Hopkins MN... 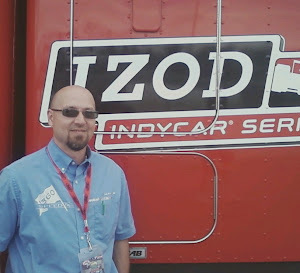 Here is the video tour of this awesome place for race fans! 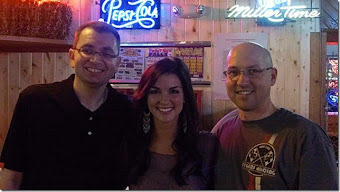 ASA Midwest tour survey for fans or competitors. 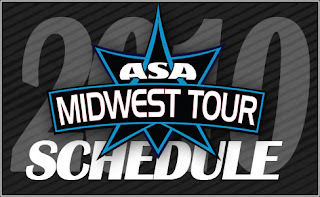 The tenative 2010 ASA Midwest tour schedule has been released. Eleven events are scheduled and Minnesota has two dates on the list. Saturday June 5th at Elko Speedway in Elko, and Saturday July 17th at Raceway Park in Shakopee.